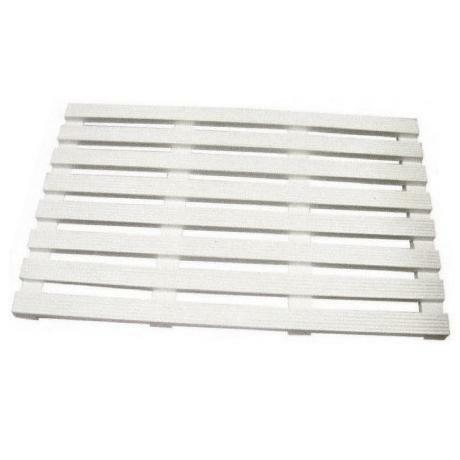 This high quality white wooden duckboard has been manufactured to a high Standard, ideal for use outside the shower/bath. Duckboards help create a non-slip surface to prevent falls. Hi, the depth of this Lloyd Pascal duckboard is 30mm. Thanks! Made my order online and received the next day, fantastic service!Searched lots of websites for a white duckboard to complement my bathroom and it is a stylish design and good quality, very happy.